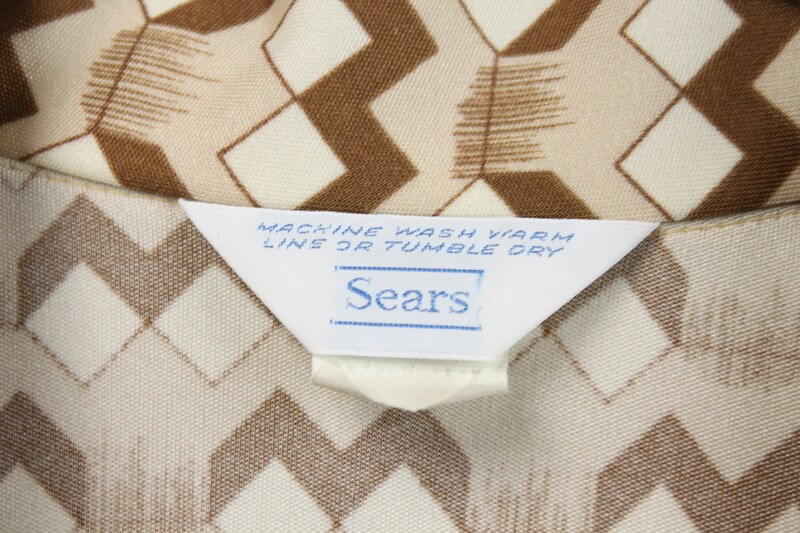 This vintage blouse by Sear's is in stunning condition! 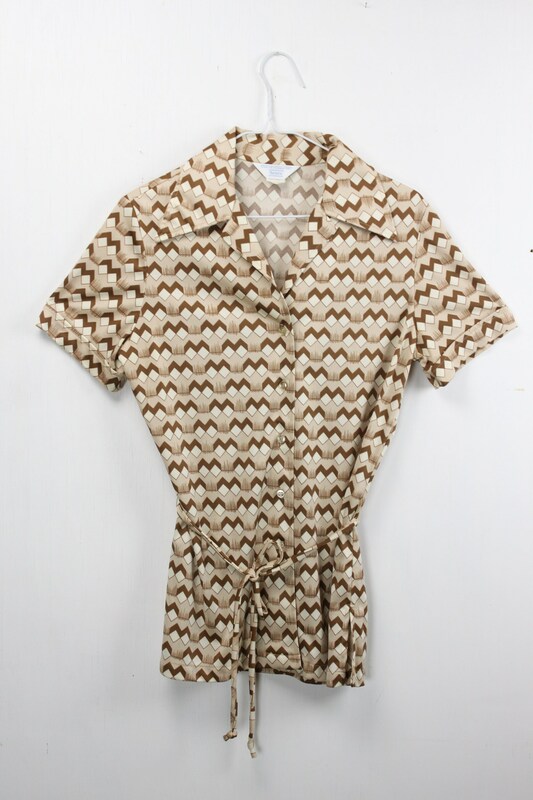 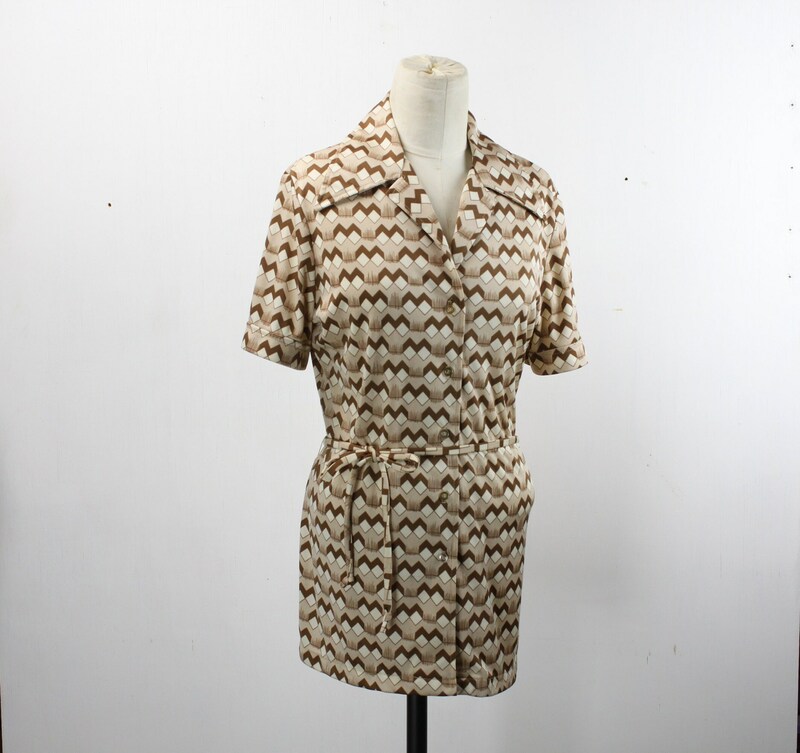 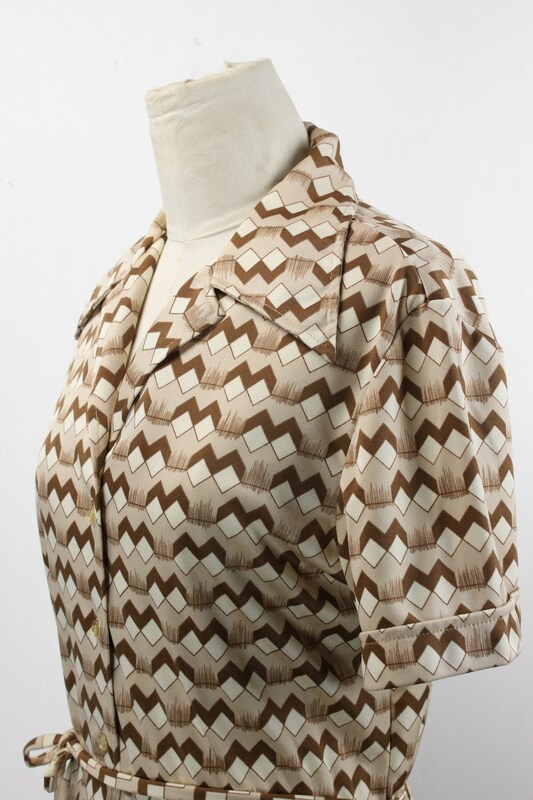 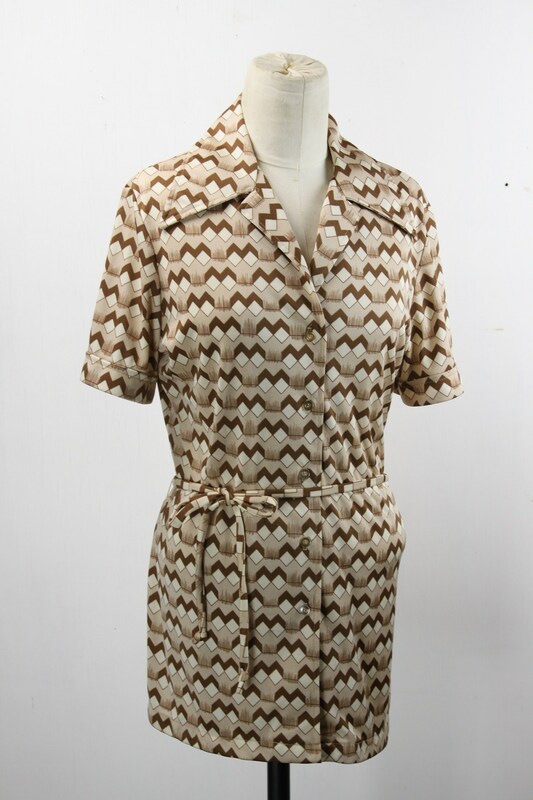 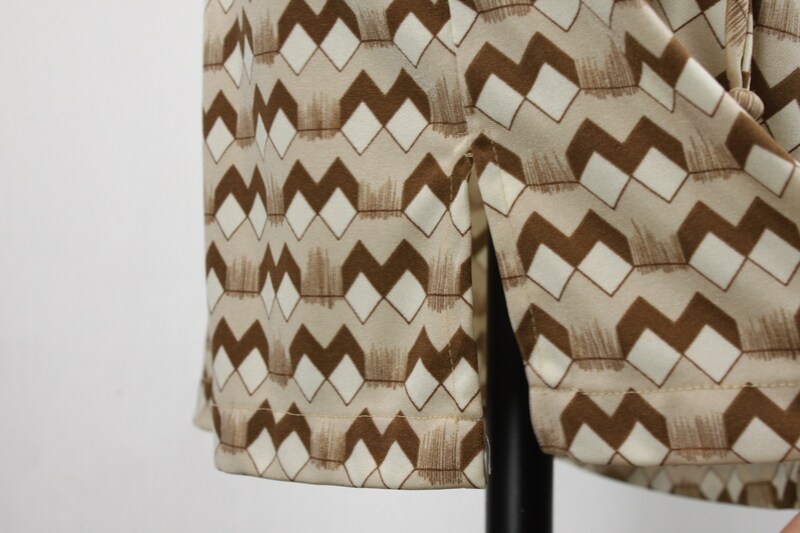 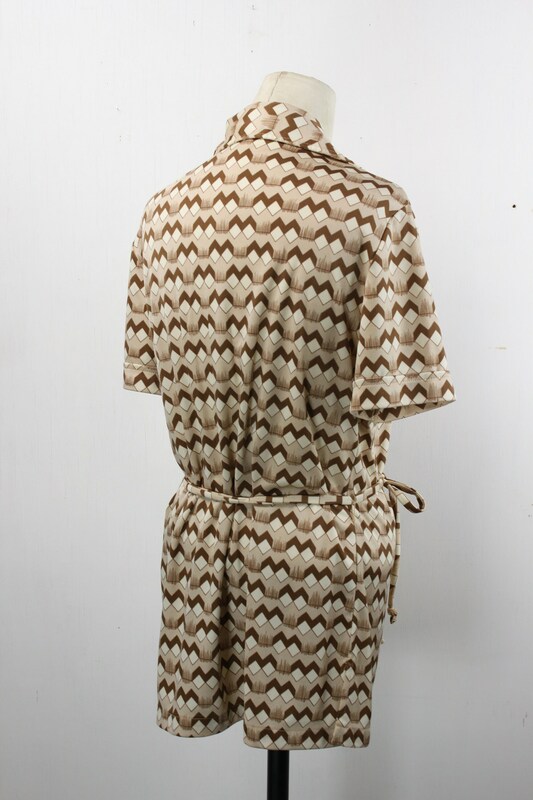 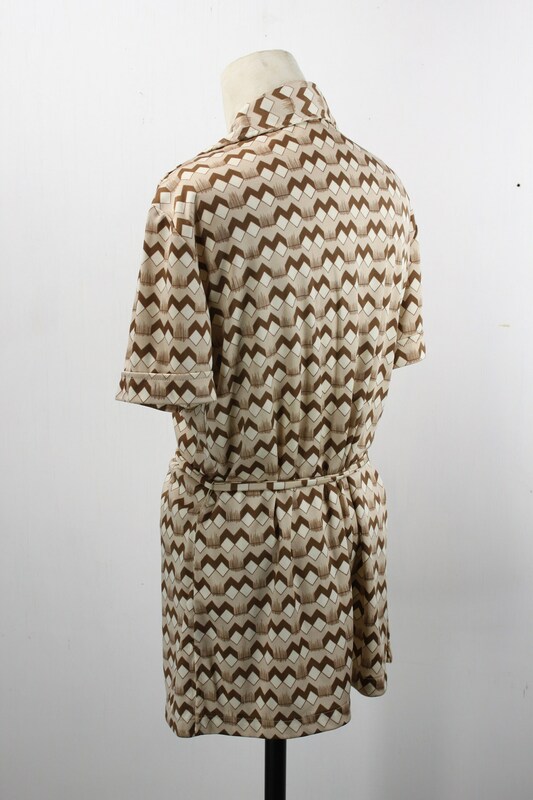 The blouse features an amazing white and brown geometric cube pattern. 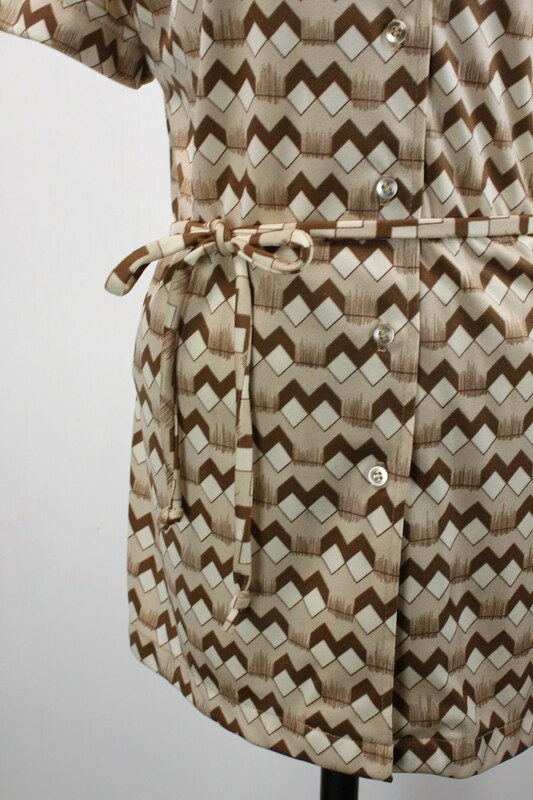 This shirt has a 5 button front closure, butterfly collar, belt and short sleeves. 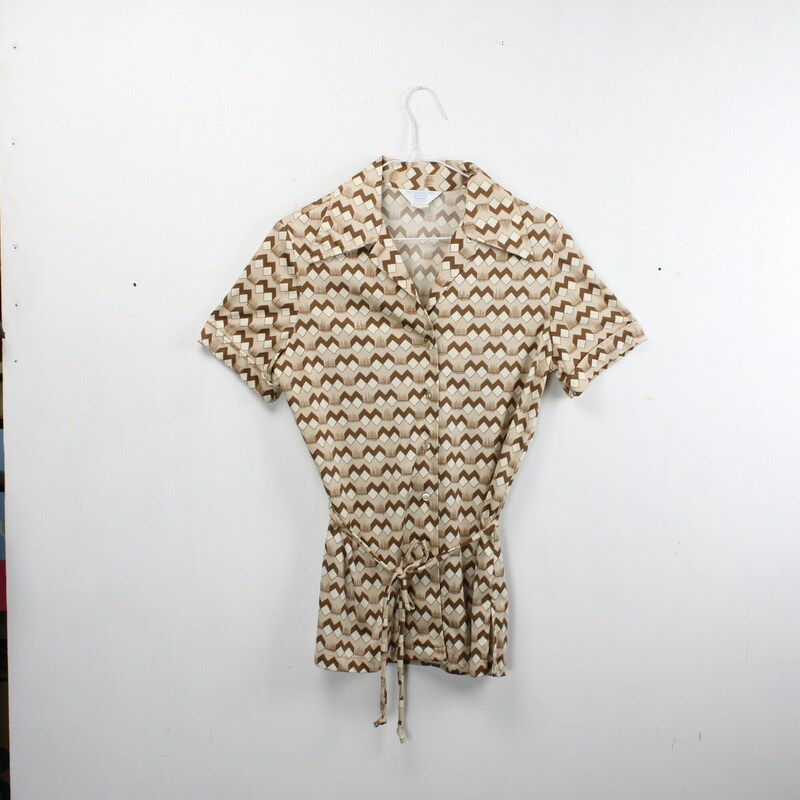 - Neck to hem: 28"
- Underarm to hem: 19"
- 100% structurally sound with no signs of wear.